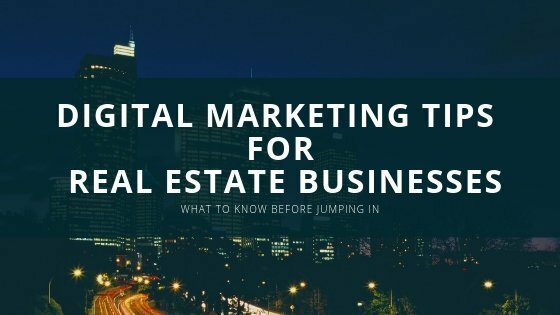 Digital marketing for the real estate sector has its rules and specificities. Coming from London, which is on a roll with new luxury developments and having a real estate agency as my private client has helped me understand where the pitfalls of a marketing strategy for real estate are. Real estate agencies and developers work with leads – most of the time 1 million dollar apartment is not going to be sold entirely online. The website becomes a tool to generate enquiries and connect users to the sales reps. Whether these enquiries come with a submitted form, sent emails, a chat bot or direct phone calls – it doesn’t matter. The goal is to make it easy for a prospect to get access to you at their own convenience. The first must for any business which has sales reps waiting on a phone is to have a verified Google My Business profile. Creating a profile is very easy and it massively boosts your SEO across Google Search and Google Maps. The real estate marketplace in the USA HomaSnap recently created a campaign about the importance of Google My business for real estate agencies. This is your online business card, make sure you claim it and have your number there. This is where you can generate location and call extension for your Google search ads. You also can easily get inbound calls from organic searches. In Google Ads you can set up calls to be a conversion and assign a value to it. If you receive high revenue from inbound calls, then you can assign higher value to it compared to what a submitted form is valuable to you. Then you can use smart bidding to optimise for calls. In this way Google will show your call extension more often on mobile. Since recently Google My Business allows you also to receive messages from users interested in your service. You can respond to these via the newly launched app. Imagine a high affluence buyer spots your development on their way to another house viewing. They check where they are quickly on Google Maps and see the development is managed by your company. They send you a message and in no time you arrange a meeting. This is where it can get tricky, especially if you are after a very small group of luxury property buyers. Pay per click marketing is cheapest when you go after a large audience, but you risk flooding your pipeline with people who are not in the consideration stage. This is why you have to go niche. Knowing where your customers come from geographically is a big plus in industries where face to face communication is key – like luxury real estate, like high-end art, luxury travel, etc. Once, I spoke with a very high-end product salesman who was working with emerging markets. I asked him how does he find buyers in countries where 99% of the population is so poor. He said – easily, from the street they live on I know whether they are qualified leads or not. And indeed, the more niche a market is, the better you know who the people who would buy are. You can target with Facebook, Instagram or Google by postcode. Until recently you could even use targeting by income, but now this is no longer available, because of data privacy. You can layer this further with demography like age, gender, parenthood status. Also using audiences like custom intent, which targets people who show buying signals online can help you really focus on the right segment. You can easily target by hashtag when posting on Facebook and Instagram, but beware as many people follow luxury channels from aspiration. Hashtags like #firsttimebuyer could make sense for someone selling shared ownership or other subsidised housing to young people. To reach affluent buyers, usually check what your current customers are talking about on Twitter and Instagram. It could be an affluent area of the city they like to hashtag. Make it clear who this property is for. Your advertising and content marketing must be focused to the right audience, but also make it very clear that the message is targeted to them. Bidding on keywords like “apartment in london” could easily bring you a lot of irrelevant traffic. If you add the word student, or “for investment” you really focus on a smaller niche. You can start with more generic keywords and then use the Search term report to see what searches conversions come from. Asking your current clients to leave you a star review on Google My Business or your Facebook Page is a great way to build credibility. Especially on social media, if they make a rating from their personal profile, their network will also see it in their feed. When people visit your properties, make sure that people would like to take picture and if they do ask them to tag themselves in the location on Facebook or Instagram. Real estate businesses can hugely benefit from online marketing, if they adopt a strategy of generating a lot of useful content like blog articles, pictures, 360 videos. While curating your content make sure it is clear what you are offering. Quite a lot of Instagram accounts focus way too much on the beauty of the images, which dilutes their message. It is easy to mistaken a real estate developer for an interior design agency, if they focus only on showing nicely furnished rooms. Instead of this, focusing on the location, the building process, even the quality of materials used to fulfil a bathroom would make it stand out more. Finally my tip is to make sure you really make sure you are adopting a long term goal. Focusing on vanity factors like number of followers, impressions on your ad is not a great strategy. Make sure you keep getting tangible results from the advertising you pay for like calls, submitted forms, incoming emails. When it comes to social media content make sure you focus the right people following an interacting with your brand. They might be less, but it is important that they are the ones you are after. This entry was posted in Branding, Google Adwords and tagged Facebook, google display network, instagram, social media.